We are very happy to announce our new XYTECH Israel General Manager Mr. Eli Haimovich. Eli is a certified mechanical engineer, graduated at the University in Tel Aviv Israel. 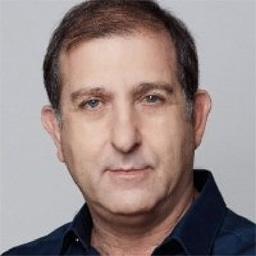 Having more than 30 years working experience, Eli has just returned to Israel after a career of 15 years in the US as project manager and VP for Nova Measuring and CEO of Gal-Shvav. After Eli returned to Israel he worked as VP Marketing and Business Development at Gal-Shvav Group. Eli will be responsible for managing Xytech Israel and maintaining and expanding the sales of technical complex modules in the Printing industry. He will also be developing the growth of sales in other markets. For inquiries please contact Eli by e-mail or call his mobile (please scroll down to the bottom of this page). Eli reports to Ron Hegger – General Manager, M&S. XYTECH – Module Technologies specializes in contract manufacturer for “high mix – low volume” electro-mechanical systems and sub-systems. We offer a wide range of services including; co-development/cost down engineering, industrialization, best cost sourcing, prototyping, assembly & integration, integral quality and supply chain services.